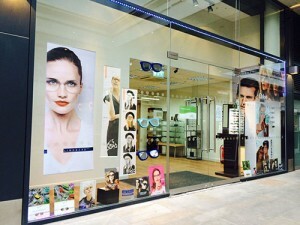 Here at London Eye Optique Opticians we can look after you, your children and the rest of your loved ones. Our friendly and experienced staff are experienced in providing a high level of care for all the family. At London Eye Optique Opticians our opticians are fully trained to offer comprehensive eye examinations for children, providing them with appropriate tests for their age and making them feel at ease at all times. Regular eye examinations are essential to ensure normal visual development to ensure that any problems are detected early and to improve their vision in the long run. If your child does require spectacles for reading or other activities, we can offer a range of attractive, robust and cost-effective styles of eyewear for children of all ages.